he Natural Shells standard sham gives a relaxing, beach feel to your decor. 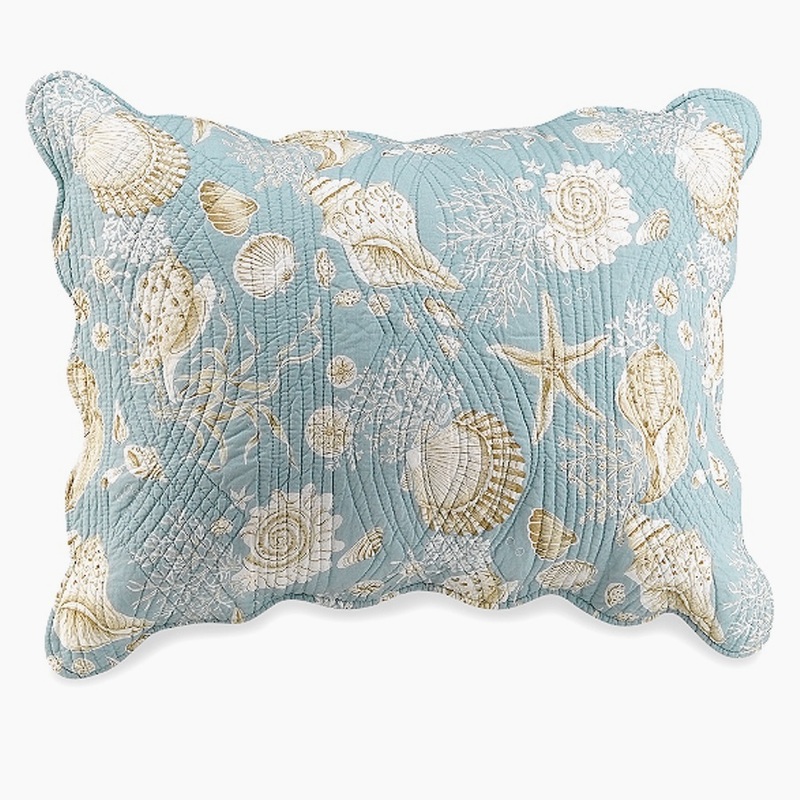 100% Cotton quilted sham displays delightful seashells and sealife on an aqua background, and is finished off with a scalloped edge to remind one of rolling waves. This sham matches the quilt pattern. Reverses to the coordinated aqua-colored stripe.